Add luxury to your bathroom with the Seascape Mantra Shower Curtain. 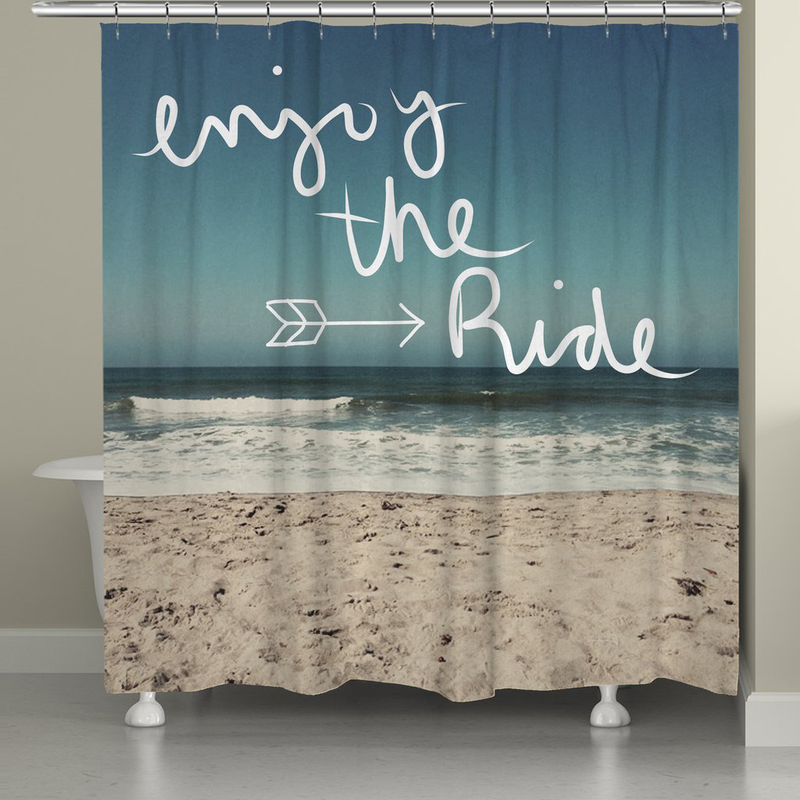 This beach shower curtain is accented with an inspirational phrase in a handwritten style on a soothing beach scene for true seaside style. Ships from the manufacturer. Allow 1 to 2 weeks. Cannot express ship. For even more pieces, we invite you to take the time to look through our extensive assortment of beach shower curtains at Bella Coastal Decor now.